The perfect, iconic volcano cone-shape, visible from huge distances, makes Mount Fuji an obvious target for a spiritual quest. Photo. 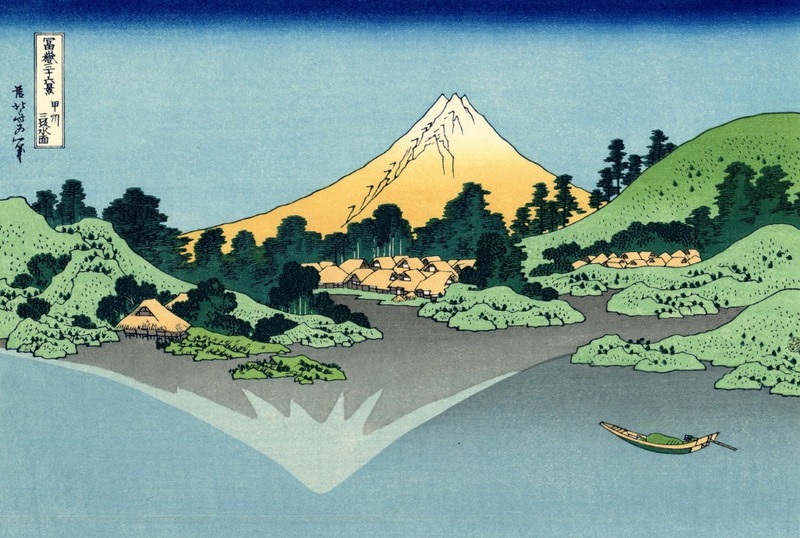 With its iconic profile and visibility from great distances — even from space — Mount Fuji has long exercised a great hold over people’s imaginations. Inspiring a mixture of wonder and fear, the great volcano has long held high status as a sacred mountain providing beautiful, delicious water. 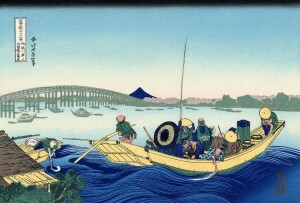 Many believe that the aboriginal inhabitants of Japan — the Ainu people — considered it a sacred mountain. 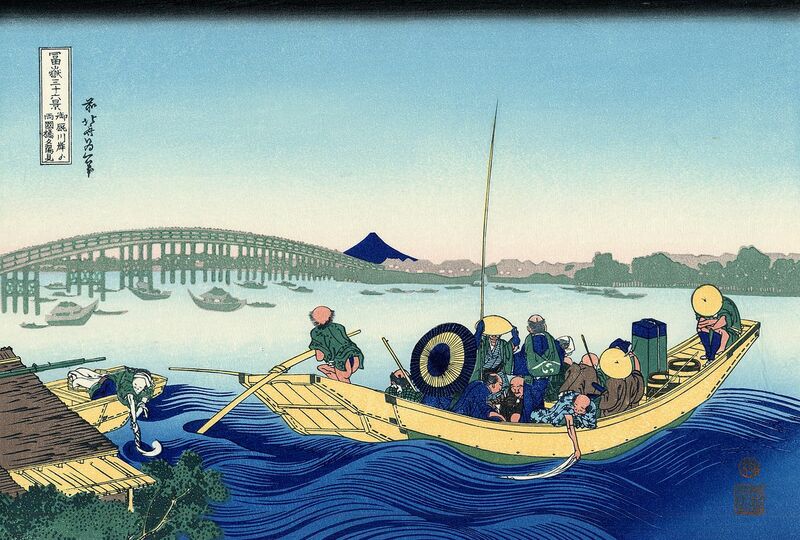 Indeed, Mount Fuji is, to this day, considered the holiest of Japan’s three holy mountains. For Shintoists (Shinto is the largest religion in Japan and indigenous to Japan), Mount Fuji is made sacred by the presence of a Great Goddess and is regarded as the very embodiment of nature. Shintoists hold nature in extreme reverence, and the mountain has long been regarded by them as a sacred being with a soul. 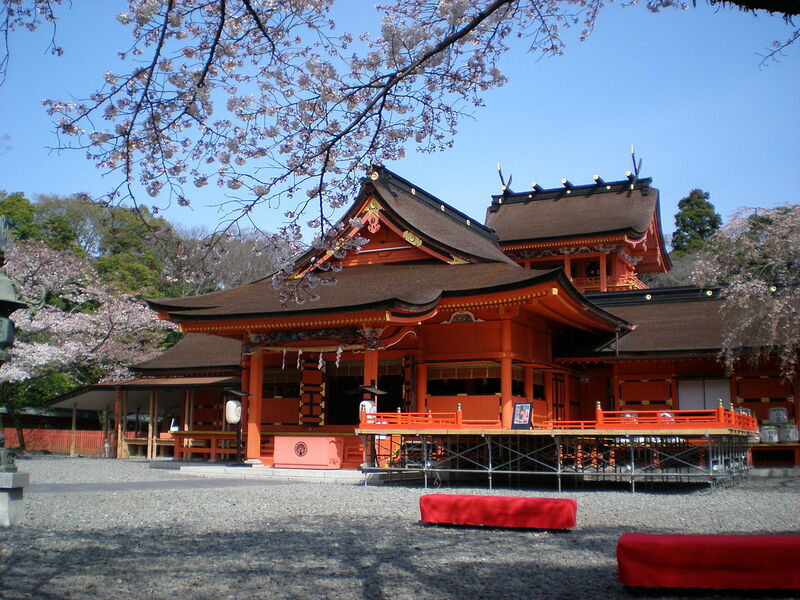 There are a number of Sengen Shrines dedicated to the worship of the spirit of volcanoes in general, and Mount Fuji in particular; these shrines are central to a large number of ceremonies and rituals. For example, the Fire Festival at Fujiyoshida celebrates the end of the official climbing season on August 26th. 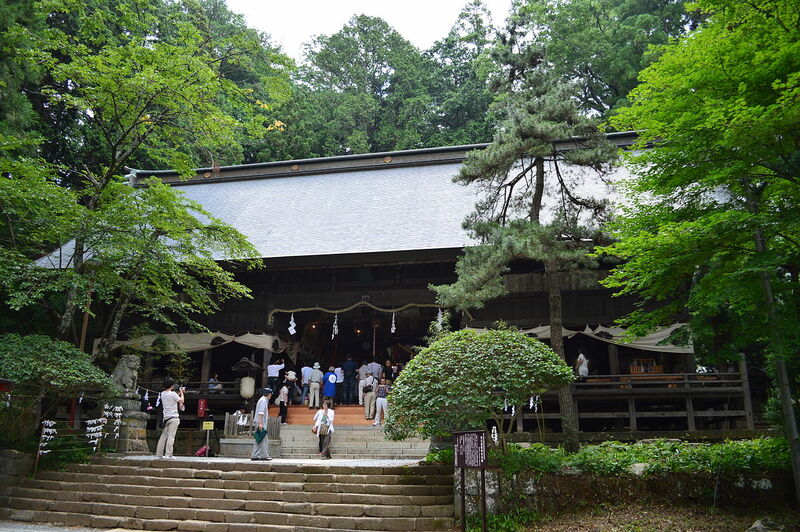 The festival has been performed by the same families for the past 500 years and is based on the story of the Goddess Konohanasakuyahime, who is considered a powerful protector against fire. The souls of the Goddess, her husband, and father, are removed from Sengen Shrines and carried through the town on portable shrines (mikoshi). The streets are lined with great burning torches (taimatsu) in the Goddess’s honor. 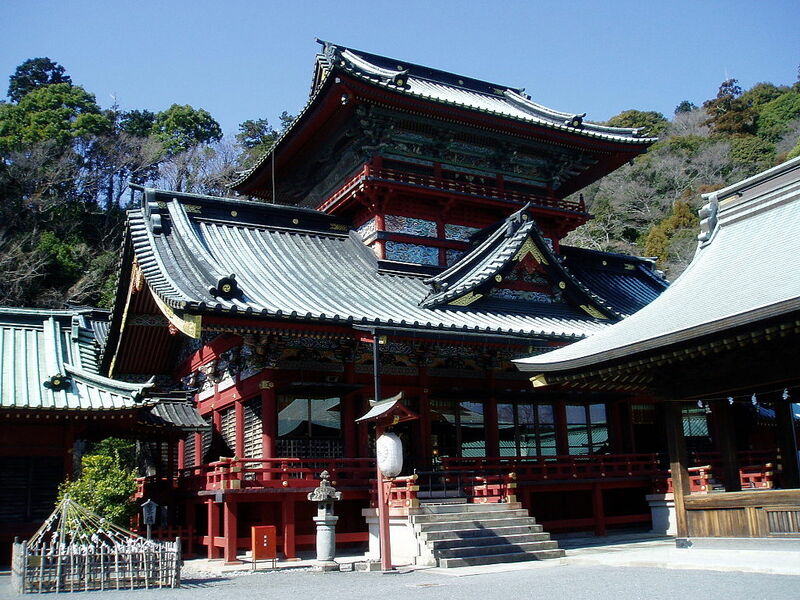 It is hoped that the Goddess will recognize the value of the town and continue to protect it. Kawaguchi Lake — not far from Fujiyoshida. Photo. Mount Fuji is also sacred to Buddhists, who revere the mountain as a gateway to another world; shrouded in mist, at high altitude, one naturally feels close to the spirit world. Indeed, the huge numbers of overseas tourists who visit Mount Fuji is proof that people naturally accept the spiritual significance of a pilgrimage to the mountain. As many as a third of those who climb the mountain each year are from overseas! 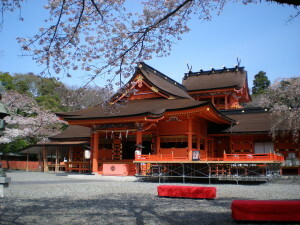 As a result, the pilgrimage has a unique atmosphere — both quintessentially Japanese and international at the same time. 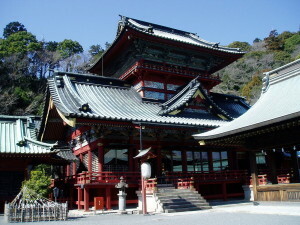 The Sengen Shrine at Lake Kawaguchi. Photo. Information about the Fujiyoshida Fire Festival from Fujiyoshida City.